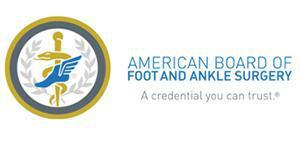 Cambridge Foot and Ankle Associates, Inc.
Podiatric Physicians and Surgeons in Orange County, CA. "I highly suggest seeing Dr. Hewlett for any injuries…to your foot or ankle." "The office is clean and the staff is professional." "Dr. DeSantis is an excellent DPM. He's professional, courteous, and friendly." About Cambridge Foot and Ankle Associates, Inc.
Cambridge Foot and Ankle Associates, Inc. is a top podiatry practice for patients throughout Orange County, CA., with offices in Newport Beach and Orange, CA. Featuring the most advanced equipment in a comfortable environment, Cambridge Foot and Ankle Associates, Inc. offers a complete array of foot and ankle treatment options for simple and complex issues. This includes bunions, hammer toes, neuromas, heel pain, bone spurs, plantar fasciitis, ankle injuries, ingrown toenails and plantar warts, as well as traditional and minimally-invasive foot and ankle surgical techniques, custom orthotics, sports medicine and laser toenail fungus treatment. All treatment options are used to help patients get the most appropriate care based on their unique needs. As a top-ranked podiatry practice in Orange County, CA., Cambridge Foot and Ankle Associates, Inc. is dedicated to providing patient-centered care focused on achieving optimal results and long-term relief of symptoms. Each treatment plan is carefully designed based on an in-depth diagnosis so patients can feel confident in their care every step of the way. The practice welcomes new patients and accepts most major medical insurance plans. Wondering if you have a Hammertoe? What are the different kinds of Hammertoes? Have you ever looked at your feet and asked yourself the above question? Below I will try to explain what a Bunion is and what your options are. One of the questions I am frequently asked by patients with a variety of foot conditions is "do I need surgery". I will try to shed some light on the question and provide you with a basis for your thought process. At Cambridge Foot and Ankle Associates, Inc., our staff is dedicated to helping every patient achieve the foot care that they need. We no longer accept Carefirst or Accountable, but we do accept Cigna and United Healthcare and Healthcare Partners insurance. If you have any questions about our payment policies or the insurance we accept, please call our office. and find out how we can partner with you. "I have found the office to be very efficient and professional and Dr. DeSantis to be extremely competent." 'I've always felt that Dr. DeSantis has my best interest at heart and has provided an excellent level of care." "Dr. DeSantis is a great doctor. You are in and out and he has managed my ankle pain for years. Everyone in the office is very nice and helpful." "I went to this office today and I saw Dr. Sung for my bunion issues he was extremely helpful." "My son is a patient of Dr. Hewlett's. This doctor is amazing. Dr. Hewlett talked [my son] through the whole procedure."